The MOTHER of all Typos! 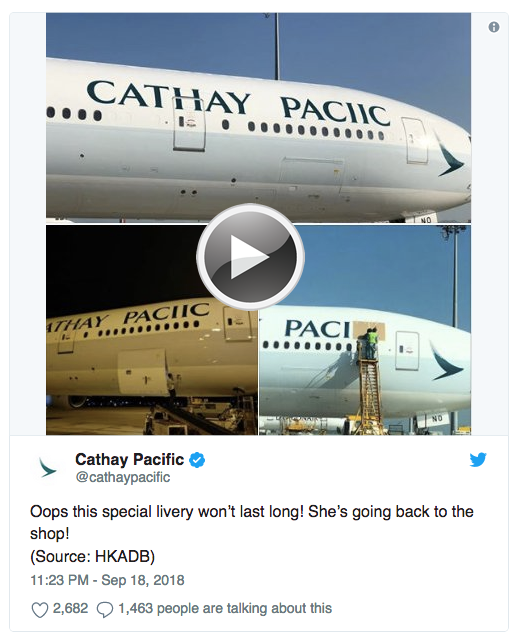 Yes, we can proofread airplanes, too (but they didn’t call us)! 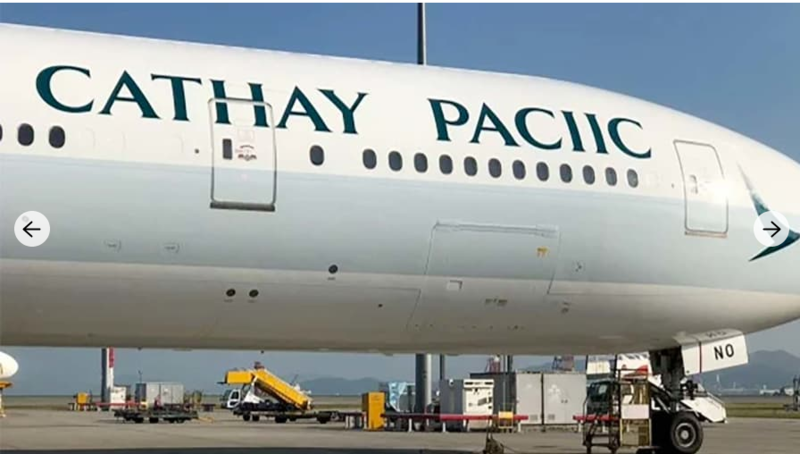 For Hong Kong-based airline Cathay Pacific, this major typo was a missing “F” between the “i”s — on its Boeing 777-367. The Proofreaders could have prevented this embarrassing typo!